My summer clock revolves around interPLAY, and has since I moved to Fort McMurray in 1996. 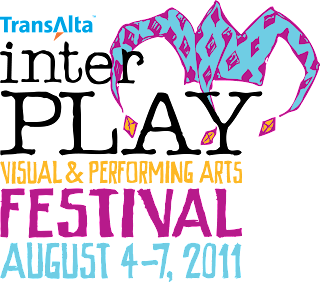 The annual celebration of the visual and performing arts has become part of my circadian rhythm, a piece of my DNA. In less than two week, the festival, which has been staged on Franklin Avenue between Hardin and Main for 19 of its 20 years, moves to a new location on King Street at Keyano College. 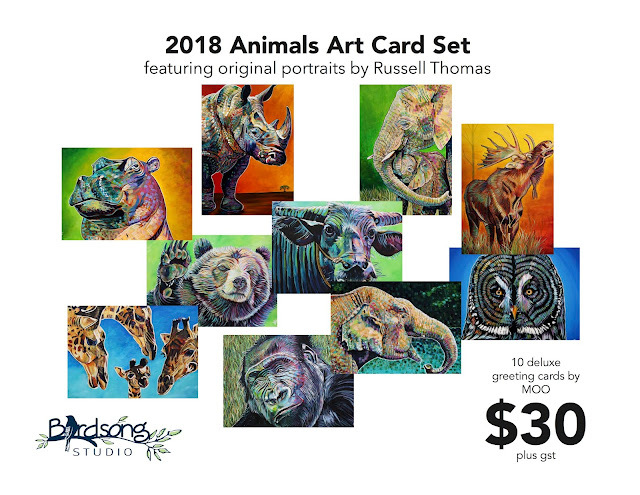 The idea for the location popped into my head halfway through a phone conversation with Rick Kirschner from KAOS Radio, at a time when Events Wood Buffalo Executive Director Claude Giroux and I were trying to figure out where to go. 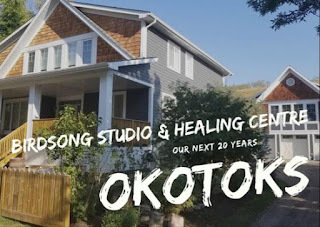 Our traditional home was slated from major construction and permanent redesign, necessitating a move to a new location. "Hold that thought," I said to Rick. "That's it. We need to move to King Street." Right in the middle of that conversation all of the cogs of the gear wheels in my mind came into perfect alignment and the fog of indecision lifted. King Street offers interPLAY excellent facilities (Keyano College, Composite High School and Heritage Park), more room than it knows what to do with, and a thoroughfare that you can afford to shut down for a number of days without overly impacting anyone. The opening of Prairie Loop Boulevard was a game changer in making this possible. If King Street was still an arterial route, hosting a major festival and shutting down the road would be nigh on impossible. After 15 years of being one of the major cogs in the wheel, I have devolved into a true festival patron. I no longer know the intricate details, the names of the performers, the schedule of shows or the attractions. 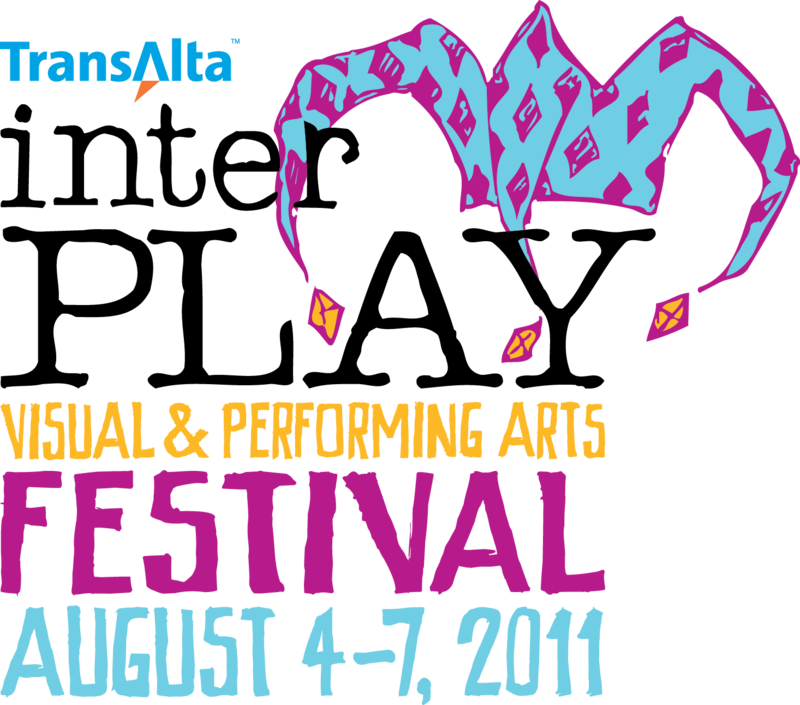 Like most everyone else, I rely on the interPLAY program to be my road map to fun from August 4 to 7. 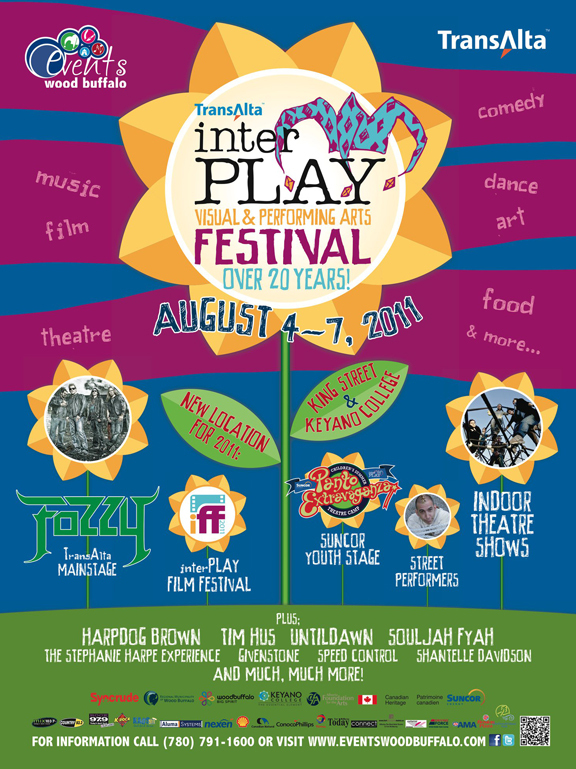 I'm so proud of the work that has happened over the past decade to build the interPLAY brand. Consistent and strong design has made a world of difference in strengthening the festival's reputation here at home and across Western Canada. The man behind the design is Andrew Johnstone, now living in the UK. Andrew and I started at Keyano College on the same day in 1999. 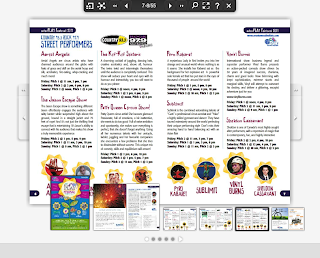 Two years later we enlisted his expertise to begin the process of developing a professional look for interPLAY. His first design (interPLAY 2001 - The Quest for the Lost Art) set us on a new course that ended up being integral to our exponential growth. Andrew continues to do transformative work for Events Wood Buffalo (and other organizations in Wood Buffalo), even though he lives across the Big Pond. 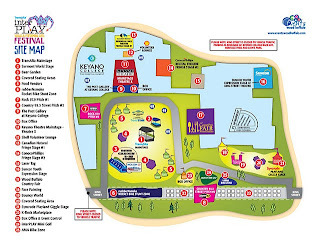 So, shortly after Heritage Day, when thousands of guests will enjoy the rich history and family fun at Heritage Park, the Events Wood Buffalo crew will begin transforming King Street, the front lawn of Composite High School and the Theatre & Arts Centre parking lot at Keyano College into the new look interPLAY site. 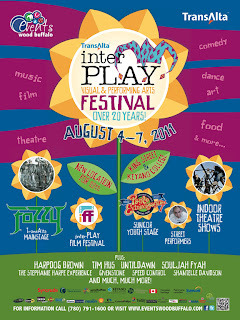 The longevity and growth of interPLAY has been greatly influenced by its title sponsor TransAlta. Having predictable funding during our formative years, allowed the organization to established an operational equilibrium and unstoppable momentum. 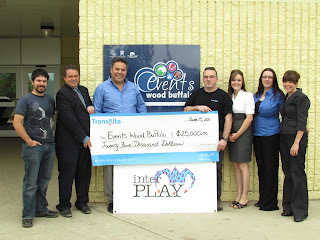 Here is a picture of TransAlta's Doug Sabine presented their sponsorship cheque to Greg Butters, Events Wood Buffalo President, flanked from from left to right by Daniel Sauer, Claude Giroux, Jenn Lamontagne, Pavlina Vaverka and Misty Oakes. These are the folks behind the scenes who are making the magic happen. When you see them scurrying about on interPLAY weekend, be sure to give them a well-deserved pat on the back. What they do isn't easy, but the fluidity with which they do it is fueled by passion for this region and the importance of festivity to our quality of life.